Attention librarians, book bloggers, booksellers, and reviewers! 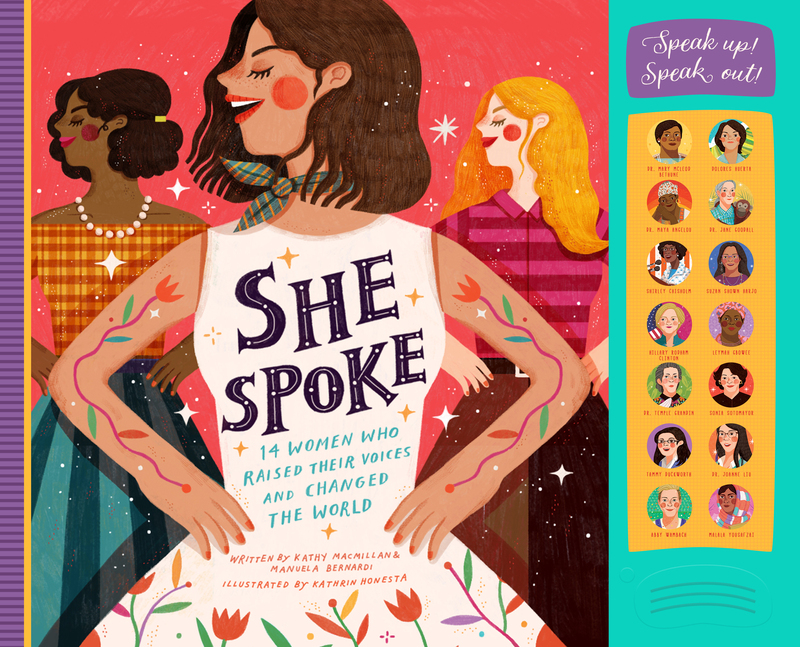 Request your digital review copy of She Spoke: 14 Women Who Raised Their Voices and Changed the World now on Edelweiss. This unique nonfiction picture book highlights 14 women who raised their voices and changed the world! Learn about heroes such as Dolores Huerta, Dr. Maya Angelou, Suzan Shown Harjo, Dr. Temple Grandin, and Malala Yousafzai – and hear their inspiring words in their own voices at the touch of a button. See the book trailer and pre-order here.